In today’s B2B marketing environment, everyone is using content marketing. And we really do mean everyone. 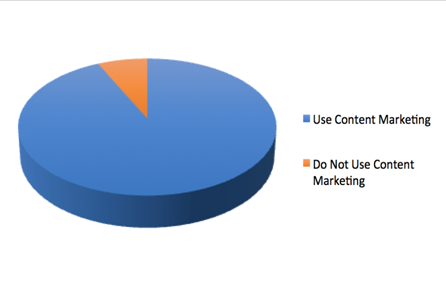 A Content Marketing Institute study found that 93% of B2Bs use some type of content marketing. If there’s one thing you need to understand, it’s that you need to be part of that 93% and you need digital publishing. Written content remains one of the most popular forms of content marketing. Not surprisingly, blogging is the most popular type of written content. 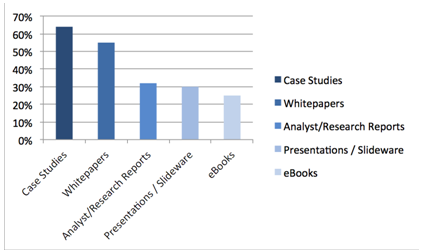 However, a majority of B2Bs write case studies, white papers, and presentations, and a significant number publish research reports, ebooks, and digital magazines. In the past, marketers have used PDFs for these written pieces. That was fine years ago but is now a weak strategy in 2019. PDFs are outdated and don’t enhance your content because they’re hard to share, they’re not interactive, and it’s nearly impossible to track a their usage. Digital publishing, on the other hand, does enhance your written content. Digital documents have their own unique URLs, making them optimal for email and social media sharing. Simply copy and paste the link into an email or post it on one of your company’s social channels. Best of all, readers don’t need to download a file to view your content. You can also drive traffic to your content pieces by embedding them on your website. It’s a great way to highlight your publications and ensure that they receive maximum exposure. One of the greatest digital publishing features is the media capability. You can make your digital publications more engaging and interactive by embedding videos, web URLs, and email links. These practices are proven to boost user engagement. It also helps drive web traffic to your website, advertisers’ sites, and your social channels. Email links also make it easier than ever for leads and existing customers to get in touch with your team. Lastly, digital publishing has traffic reporting tools that can provide you with valuable information about your content’s success. A whopping 65% of B2B marketers don’t know which content pieces are and aren’t effective. Producing the wrong type of content that doesn’t appeal to your audience or doesn’t yield your desired results is a tremendous waste of time, creativity, and money. With traffic reports, you can easily identify which digital documents receive the most views, email and social shares, downloads, and media engagement. If you already use Google Analytics, you can add your GA tracking code to publications to see the reporting in your account. Now’s the time to make the transition to digital publishing. Contact us today to learn how PageTurnPro can meet your digital publishing needs.